I’m not much of a joiner. Over the years I’ve been asked to join different organizations. Many times people have tried to assimilate me into various pyramid scheme business plans, and I have always declined, usually afraid they were some secret front for the Illuminate. I think it would be funny if the dark overlords of the world funded their evil plans by selling soap suds. 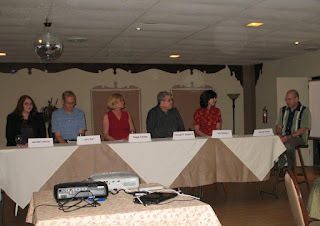 When I was asked to join the Susquehanna Writers Blog I had a different reaction. I want to thank Cate Masters and all the other authors in the group for inviting me onboard. I’m not sure if they have a meeting with anonymous ballots or there is some top-secret headquarters command center where they make these decisions. If there is a top-secret headquarters I haven’t received a key yet. Just saying. Sorry, I digress. Where was I? Oh yeah. Toiling away at the keyboard is a solitary experience, only me and the world full of characters in my mind. It’s okay--they all know me there! As much fun as that part is--and believe me it is a blast--the other part of my writing journey has been meeting wonderful authors, many who have become dear friends. So, although I’m not much of a joiner, when Cate sent me the e-mail I readily agreed. 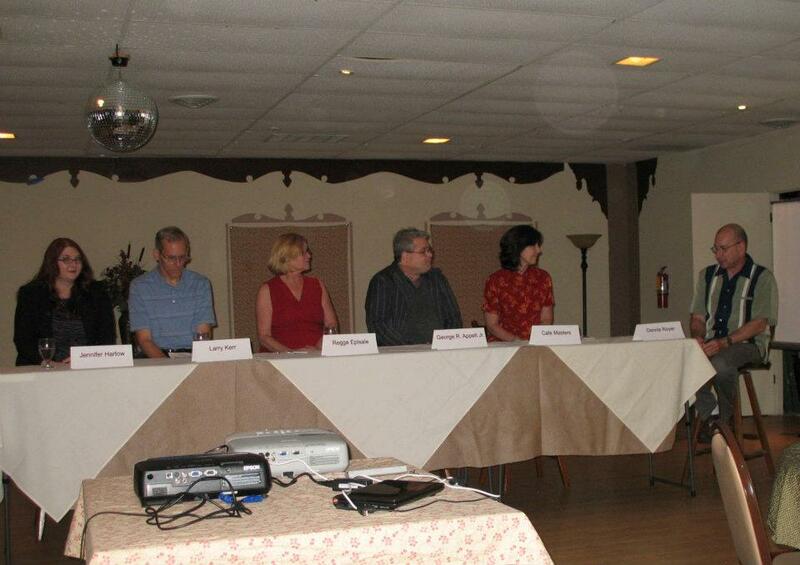 I am thrilled to be a part of this fine group of story tellers who do want to overtake the world of literature. I'm especially grateful to Deb for including a copy of my paranormal novella, Soul for Sale, in every goody bag! Such a thrill for me! And she was wonderful to let me bring copies of Surfacing, my mermaid fantasy, along as well. It's an incredible high to see people walking around with copies of your books in their hands. 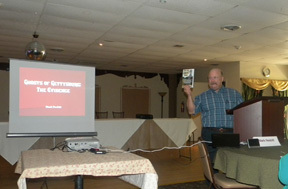 Kicking off the conference, Mark Nesbitt presented "The Ghosts of Gettysburg: The Evidence." Oh yeah! Exactly what I've been needing. I've been reworking my Gettysburg ghost story I don't know how many times, and always felt it was missing something. So I bought two of Mark's books - his most recent, Civil War Ghost Trails, and The Ghost Hunter's Field Guide (I'm giddy with glee!). I literally have pages and pages of notes because every session was riveting, but I'll condense for these posts, and I also won't give away too much of what the speakers said. You should really buy their books! Here's Mark Nesbitt with his latest release, Civil War Ghost Trails, so new he actually hadn't seen the cover until that day. His publisher hurried so he'd have copies to sell. Cool for us! I may have mentioned I live about 20 minutes from Gettysburg. I really should go there more often, but it's in a direction I don't normally travel, and you know how life gets crazy. But now I'm determined. I'd love to go there during the anniversary of the battle in early July, when paranormal activity's supposed to become very active. Gettysburg's one of the most active haunting sites. Maybe, Mark said, partially due to the 1.6 million visitors each year, whose visits may help hold the spirits there. Any protracted sadness or grieving may hold a spirit to this world. The battle grew especially intense, and during 24 hours, claimed 35 casualties per minute -- or one every two seconds. That's a huge amount of deaths in one place in a short time. Of the 400 buildings in Gettysburg standing during the Civil War, about 200 of the original structures are still standing, which may also play into the fact that such a large number of spirits remain attached to the town. About 300 to 1,100 bodies remain unaccounted for - and the lack of a final resting place is another contributing factor to why spirits don't move on. for instance, Mark shared one haunting that visitors may catch sight of and think it's a group of reenactors, but it's not! A unit of soldiers will come marching out of the woods, perform maneuvers, and mark back to the wooded area - or else, if interrupted, will simply vanish! this was one of the creepiest stories - Pennsylvania Hall was used as a hospital during the battle, and surgeons often tossed limbs out the window or piled them up in a gory pyramid. Employees who worked at the Hall in modern times worked late one night, got on the elevator and pressed the button for the first floor, but it took them to the basement instead. The elevator doors opened onto a scene in which people in 1800-era clothes were working in a makeshift hospital. The women pressed the "close" button like mad, but the doors wouldn't budge. An orderly walked by, made contact with the women in a beseeching manner, and then finally the doors closed and they ran to the security guard. Brave souls that they were, they went back down, but the basement was again just a storage room. This event happened at least one other time to another person. I asked Mark after the session what might have happened if one of those people had stepped off the elevator into another time. It's anyone's guess! Spirits can make themselves known by touch, sight, sound or sometimes smell. Mark played a chilling recording in which a woman visited Iverson's Pits, and said a blessing before leaving. The answer? A man's scream. I still have goosebumps from that one. There was much more, but I won't give too much away. 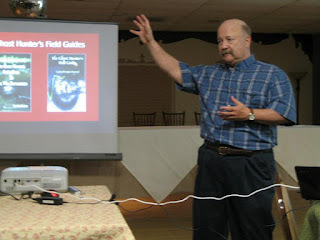 Mark has written several books detailing accounts of hauntings. I bought a few of these books (novellas, really) years ago, so can truthfully say they're well worth a read if you love true ghost stories. 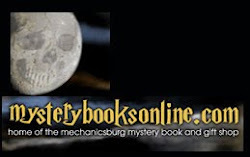 The Ghosts of Gettysburg ghost tours are spooky fun. Check out this link, and if you can't visit, you can download a virtual walking tour. You can find Mark's books at the same site, as well as another presenter's, Patty Wilson. I can't wait to share her session. Everyone there was riveted during her talk, and you could literally hear a pin drop. I'll share some of Patty Wilson's session next time on my blog, so stay tuned. You'll want to keep the lights on at night afterward! Special thanks to Diane DeLucca Appelt for two of the photos. 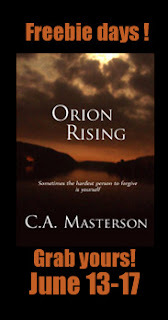 Today begins the Amazon free days for Orion Rising, my literary family saga spanning the Sixties through the Nineties. I hope you'll download a copy! It's very special to me, and I'd love to hear what you think of it. You can find the blurb, excerpt, book video and more on my blog. 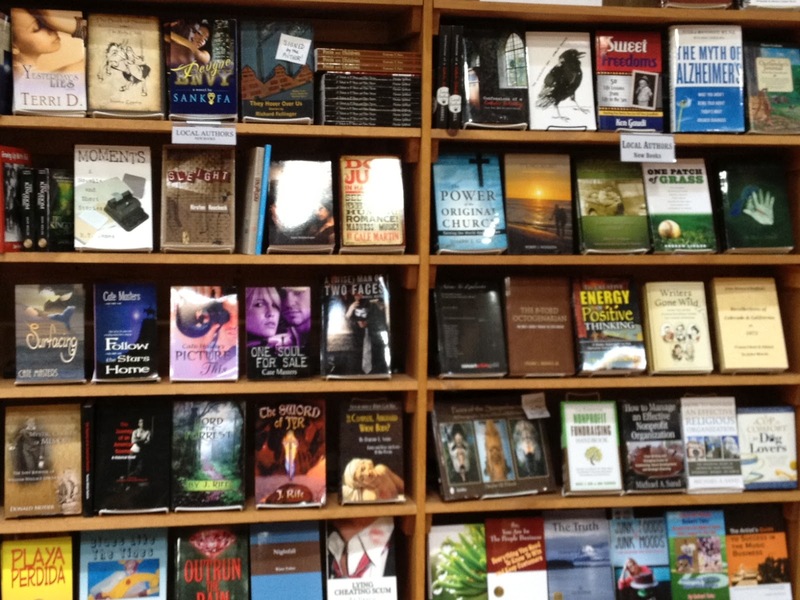 Catherine Lawrence, owner of The Midtown Scholar book store in Harrisburg, is prominently featuring local authors with a new section. 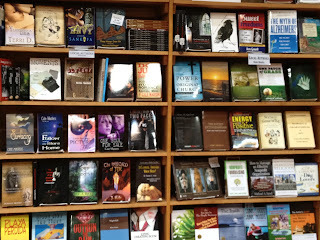 Facing out, the books hopefully grab more attention of browsing readers. It looks great, doesn't it? Catherine's been a huge support for area writers. Once again, thanks so much, Catherine! Check out the Midtown blog to keep up with all their scheduled events.